To Ablajan’s thinking, it was an older icon that drew him (and perhaps Bieber) to the style of glamorous pop he tries to emulate in his work. That icon was Michael Jackson. In this short essay, I analyze how Abaljan uses a particular style of music and dance to navigate the difficult terrain of Xinjiang politics. By examining the trajectory of his work and the lyrics in one of his most recent releases, I argue that Ablajan demonstrates a careful awareness of the desires of both his audience and his censors. In doing so, he is able to continue to inspire hope in his audience of young Uyghurs. A promotional image from Ablajan Studios. Ablajan is an interesting figure in the Uyghur pop scene. He talks in a soft voice. He gestures with his hands constantly. He walks with a practiced coolness. Everything about him breathes celebrity. He has his own studio. His own brand. His own entourage of cool urban kids. It really does feel as though he has spent decades studying and practicing Michael Jackson’s mannerisms. Walking down the streets of Ürümchi with him and his backup dancers, little kids and their parents broke into broad smiles. He played the role of the celebrity graciously. Kneeling down with small children to take selfies, he was the fun uncle they had always adored. Here too, Ablajan’s appeal follows the trajectory of Michael Jackson’s turn toward children’s music. He said: “I really don’t know why my music is so popular with kids. Parents tell me all the time that the first word their kids say is ‘Ablajan.’” Ablajan says that he likes to perform for kids because of the spontaneous joy they bring to the music. He said he has always loved “those little people” and that ever since his very first album he has wanted to use their sense of imagination and energy in his music. Of course, like Michael Jackson, in more recent years Ablajan has also been accused of infantilizing his music, of being stuck in a perpetual childhood. He said: “Now some people are telling me that it is not natural for a man to sing children’s music.” He said that in more recent years adults have been accosting him, telling him he is too effeminate – that entertaining children should be the domain of women. Some of them are even more confrontational, telling him that he is misleading their children. He said, “They tell me I am teaching their children lies.” And here is where the the Uyghurness of his context and his relationship with Michael Jackson’s music appear to confront an impasse. Ablajan is attempting to be a pop star in the midst of widespread Islamic religious revival among his target audience; he is singing songs about joy and secular education in the midst of the so-called People’s War on Terror. This call to good citizenship and belonging within the Chinese nation in the midst of widespread state violence and fear often sounds like collaboration to Uyghur listeners. Indeed, following the release of his first Chinese language record in 2012, Ablajan, like many Uyghur pop performers, has found himself put in the service of anti-religious extremism concert tours. As Uyghur society turns towards forms of Islam that frowns on music, dance and interactions with the non-Muslim world, Abalajan’s music has started to sound like the music of the state to many Uyghur listeners. Since the early 2000s Ablajan has written over 400 songs. Many of them are aimed at inspiring young Uyghurs to bring Uyghur values into the present. 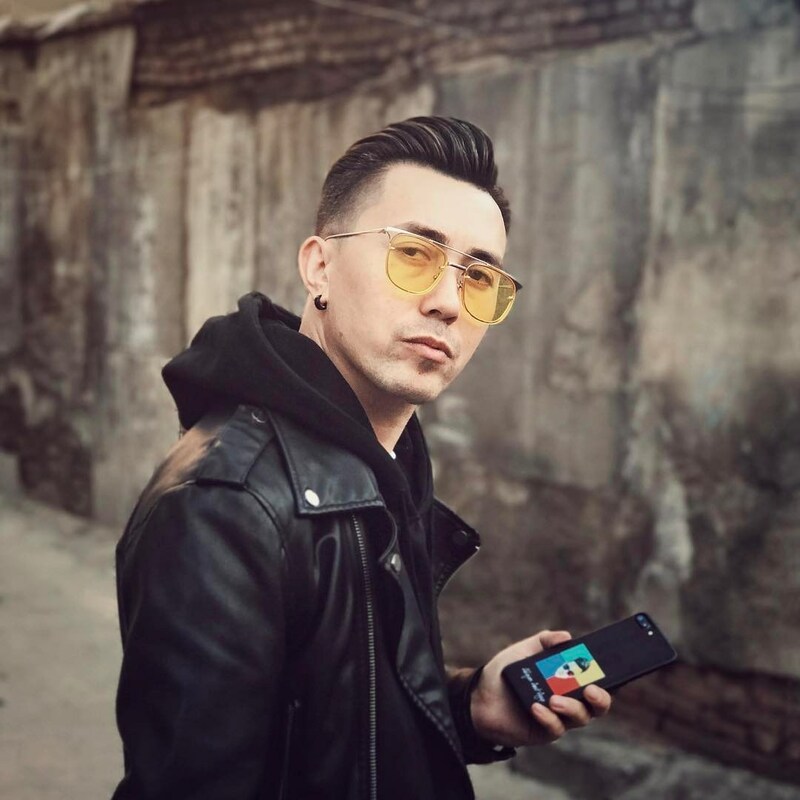 In many of his songs he focuses on the games and songs Uyghur kids used to play in the countryside and reinterprets them or gives them new meaning in the urban context. One of his most recent singles called “Dear Teacher” (above, with English subtitles) doubles down on this, by privileging Uyghur language instruction (in the Uyghur version of the song) as the first and primary subject of Uyghur education. By standing up to the state’s push to transform Uyghur education into Chinese-only curriculum by beginning the song with an emphasis on the “pearls” of Uyghur language literacy (45 second mark), Ablajan is taking a stand. Although it appears to be subtle, for Uyghur listeners to the song it stands out as a small sign of refusal. If we read the song even more closely by reading through the Chinese lyric translation Ablajan has provided, the subtly of his messaging is made more explicit. While the Uyghur version of the first two stanzas of the song emphasizes the importance of learning one’s mother tongue, the Chinese version of the lyrics highlights the characteristics of Chinese language and Han culture by emphasizing things like strokes, pronunciation, and the Great Wall. Below is the English translation from the Uyghur of the first two stanzas. The parts in parentheses are translations of the equivalent Chinese lyrics. Read the texts with passion. I will provide the explanation. May your words look like pearls. Clearly Ablajan does not need to talk about the importance of correct pronunciation of the Uyghur language to Uyghur kids who speak Uyghur as their native language. Instead, in the Chinese lyrics, Ablajan is emphasizing the assimilationist policies that now dominate Uyghur education. In doing so, he is demonstrating a remarkable deftness in bilingualism. He is telling his potential Uyghur audience and potential state censors what they expect him to say. Thinking in terms of W.E.B Du Bois what we see here is the art of double consciousness – of being forced to perform multiple forms of self-expression for multiple audiences. Yet, perhaps more significantly, Ablajan is also standing against the resurgence of religious education, or the refusal of Uyghur parents to send their children to Chinese language medium schools. He does this by not mentioning Islam at all even as it has come to dominate everyday life in Northwest China. The closest he comes to referencing Islamic values is when he admonishes Uyghur children to respect their elders – who he portrays as a white bearded (aq saqal) old man (2:20). The most explicit reference in the song is still Michael Jackson (2:03). 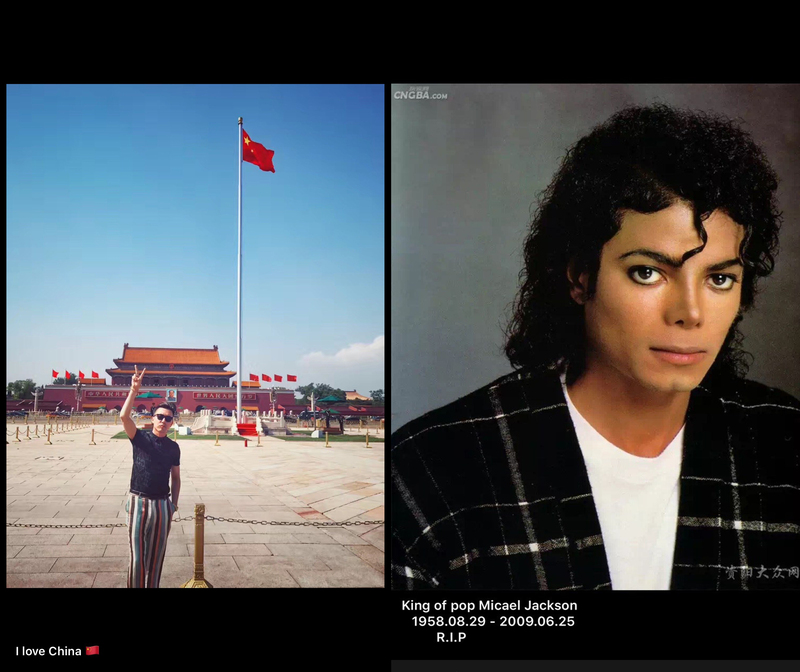 There in an homage to Jackson’s dance style he asks Uyghur children to dance with passion like the great pop icon. He is telling the current generation that the way to get through this period of Xinjiang’s history is to throw yourself at life. He is asking Uyghur children to hold onto their values, but to live for a future life in which Uyghurs are recognized on their own terms as self-determined members of the world.